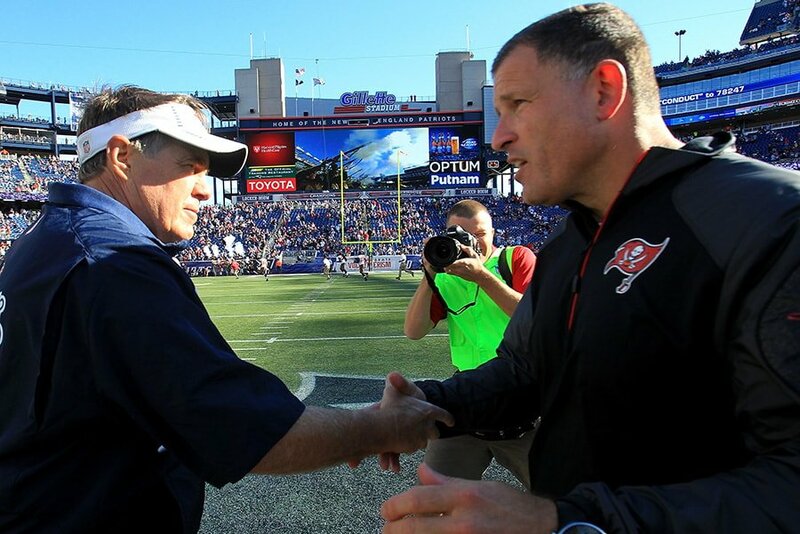 A league source tells Jim McBride of the Boston Globe that the New England Patriots are "imminently" hiring Greg Schiano as their next defensive coordinator. Schiano served the last three seasons as assistant head coach/defensive coordinator for the Ohio State Buckeyes, before an unsuccessful two-year stint as head coach of the Tampa Bay Buccaneers. He's best known for his 11 years as head coach at Rutgers, where he built a close relationship with Belichick and coached future Patriots Devin McCourty, Jason McCourty, and Duron Harmon. He also coached now-ex-Patriots Logan Ryan and Kenny Britt. After two seasons and an 11-21 record, the Buccaneers fired Schiano in 2012 before he returned to the college ranks. The Patriots would mark Schiano's third stint in the NFL, previously getting his start in the pros with the Chicago Bears from 1996-98. Schiano replaces Brian Flores, whom the Miami Dolphins announced as their next head coach on Monday. Flores arrives in Miami having delivered a masterful performance as the Patriots' defensive signal-caller in a 13-3 win over the Los Angeles Rams in Super Bowl LIII. He's the third defensive signal-caller in as many seasons under Belichick. Flores called plays without having the official title in 2018, while now-Lions head coach Matt Patricia served as official DC from 2012-17.